As some of you already know, I absolutely love Fall. 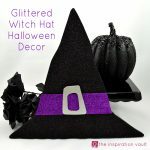 It’s my favorite season and I insist on decorating for Fall both in September and again in November. That’s why I like to keep the decorations simple. My Halloween and Christmas decorations are so elaborate, I need simple in between. 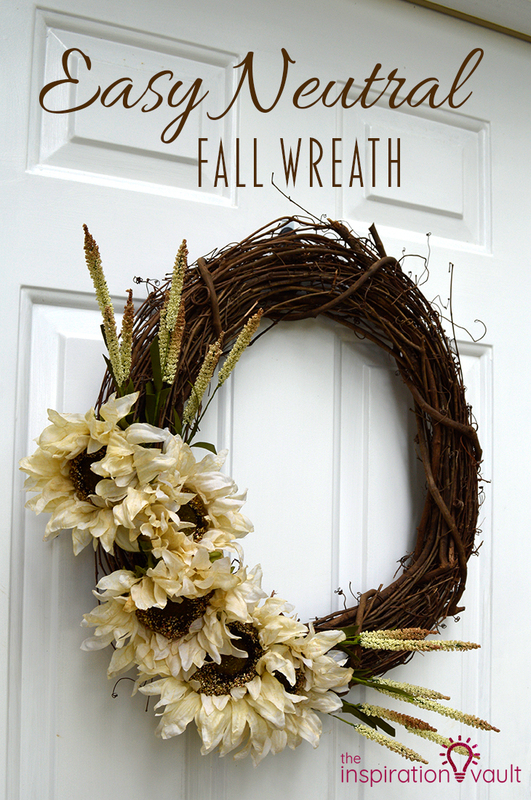 This year I decided to go a different direction with my front porch decor and I started with this Easy Neutral Fall Wreath. I wanted to move away from all of yellows and oranges plus I also fell in love with these white sunflowers. 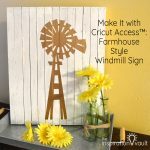 My inspiration was born! 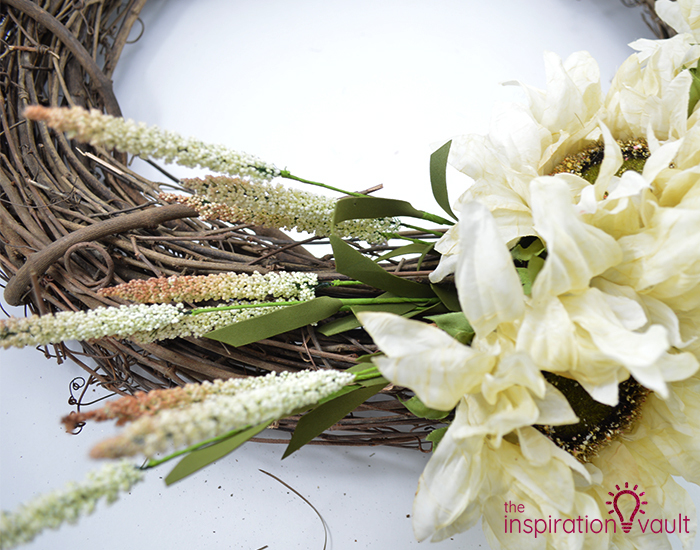 Be sure to watch the video clip to see just how easily you can make this wreath, too. 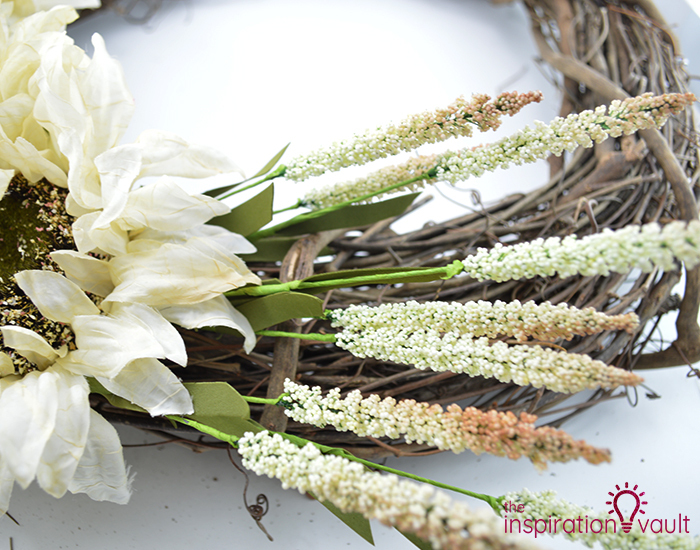 And as an added bonus, you can buy some Christmas-y flower pics and swap them out to make a Christmas wreath in minutes. You can’t beat that! Let’s get started. 1. 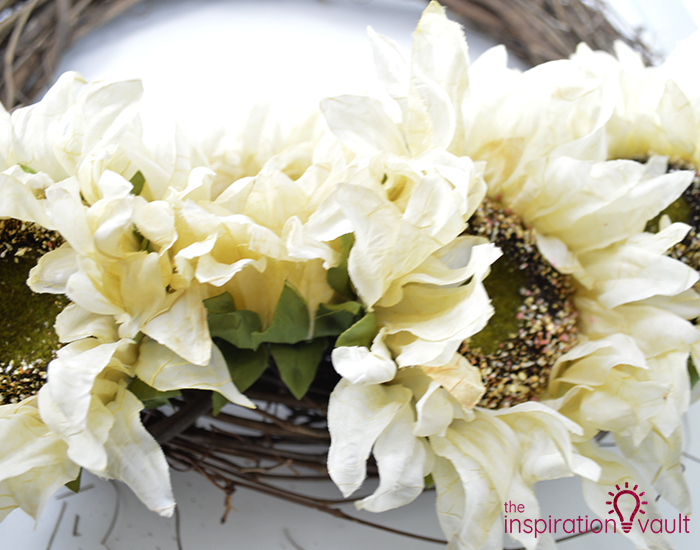 Use the wire cutters to trim down and then bend the white sunflower stems as shown to make them easier to slide into the wreath. 2. 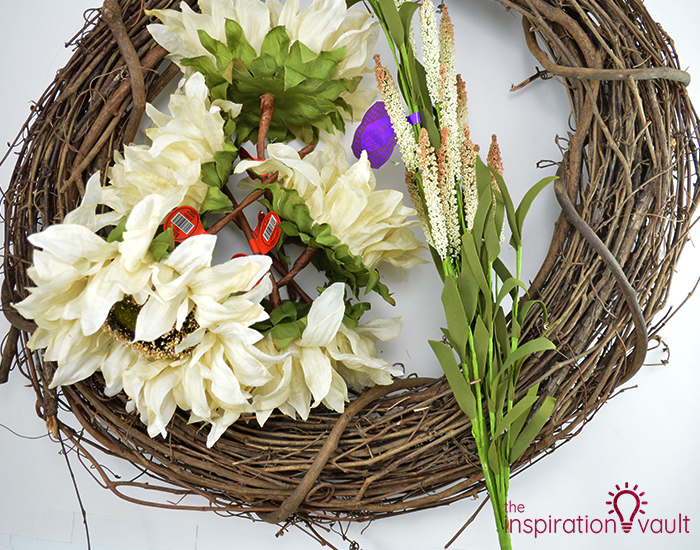 Choose a side of the wreath you like and then slide the stems into and in between the grapevine branches so that the flowers face outward. If you don’t like the placement, simply pull them out and try again. This video will help show you how. 3. 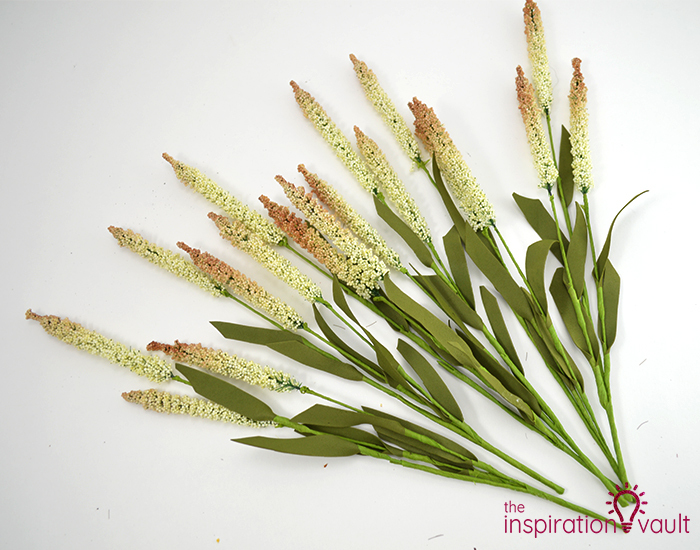 Use the wire cutters to trim the other floral pics into individual stems. 4. 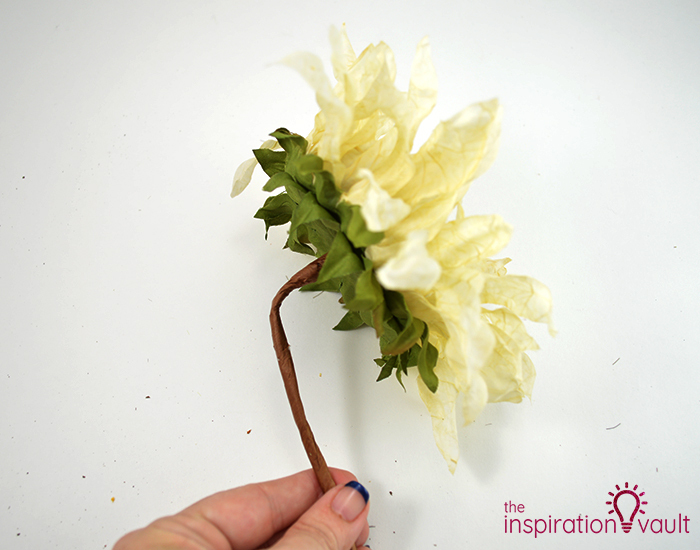 Slide a few of those stems or pics underneath one side of the white sunflowers and then place the rest of them on the other side as shown. Seriously, that’s it! 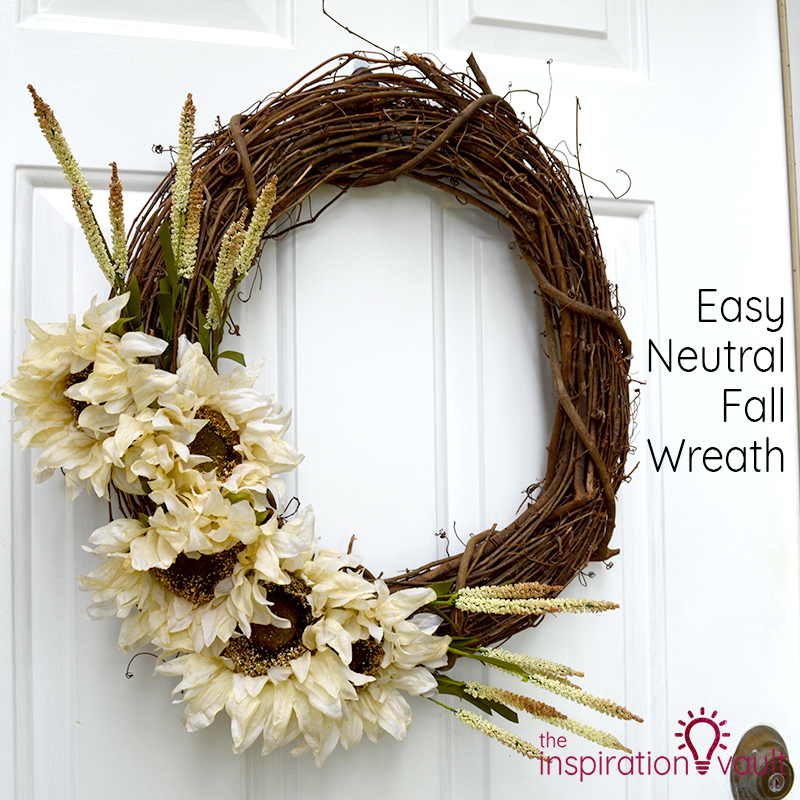 This Easy Neutral Fall Wreath is that simple to make. Imagine all of the possibilities. 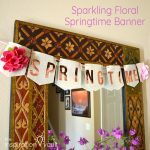 You could easily change this up each month with different seasonal floral pics and stems, then you wouldn’t need to store a whole bunch of different wreaths. Win, win! 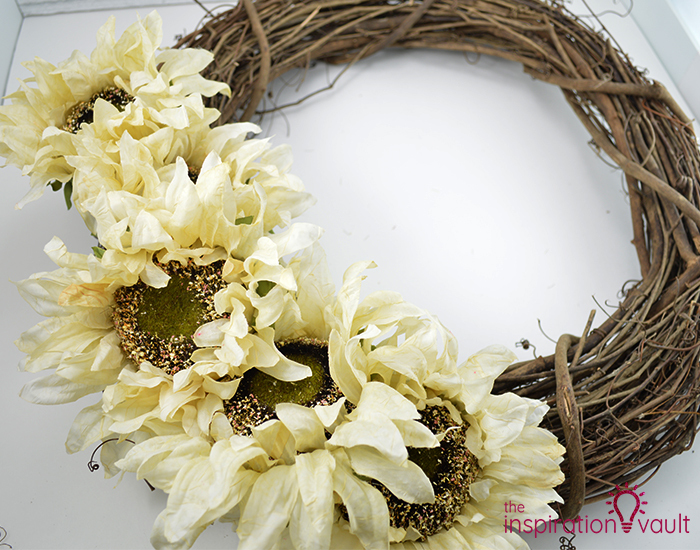 So what kind of fall flowers would you add to this wreath to give it a different look? 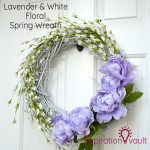 If you like this wreath you’ll love our Lavender & White Floral Spring Wreath that also uses a grapevine wreath form. 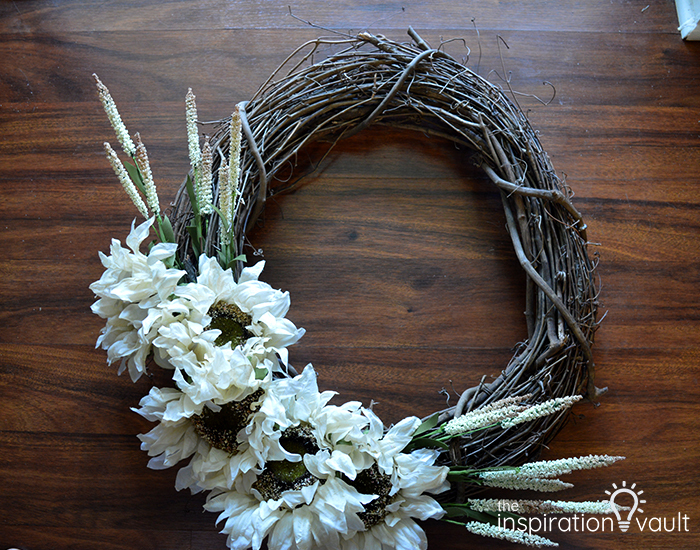 If you’d like to see a huge resource for wreath making craft projects, you’ll have to check out Favecrafts next!